Get the best of old and new with this updated Victorian. Beautiful front door welcomes you to this 3BR brick home with plenty of historical charm. Oak hard wood flooring, built-in kitchen cabinetry, covered porch and attractive bay window area. 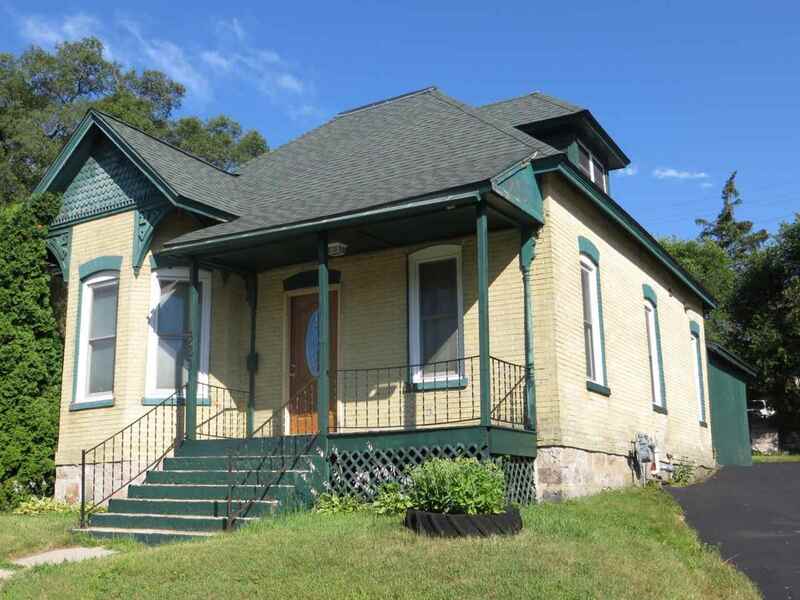 Updates include refinished floor, newer roof, windows, upstairs carpeting, drywall and renovated bathroom. Blacktop drive and parking area, fenced in yard to keep kids and pets safe. Directions: Downtown Portage From Hwy 51 To East On E Edgewater St. Property On North Side Of Road. Items Included: Levolor Blinds. Range/Oven, Refrigerator And Dishwasher.